The Lennox XC21 has held “best in class” status in several categories for several years. When comparing two-speed models from other premium brand names like Carrier and Trane, Lennox wins. They just can’t top the near-silent operation or the ultra-high efficiency of this model. 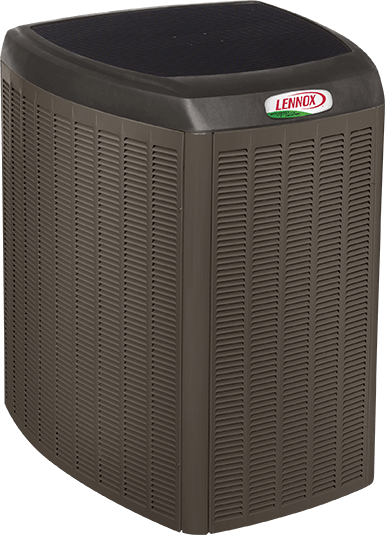 When the Lennox XC21 was first released, the company was quick to boast it was the “most efficient 2-speed air conditioner money can buy”. Several years later, it still holds that title. Energy Star labels the XC21 as “2018’s Most Efficient”. At the heart of the Lennox XC21 is a Copeland dual-stage (two speed) compressor. Lennox engineers were clearly thinking about designing a system that was ultra-quiet and ultra-efficient when creating the XC21. They accomplished both in part because of the compressor. We have been longtime fans of two-stage compressor technology and it makes perfect sense in a place like Phoenix, AZ. We have to size and design our central air conditioning systems here to deal with 110+ degree weather for several months. For the remainder of the cooling season, and in the late evening those temperatures drop as much as 30-degrees. During those times, the 2-speed compressor shifts down into low speed using less energy and running even quieter. Magic Touch Mechanical ordered and installed the very first Lennox XC21 air conditioner shipped to Arizona. We placed one on backorder for a specific client whose top concern was quiet. Since we’ve installed thousands of air conditioning systems over the past two decades, we know decibel ratings and knew this unit would be a safe bet based on the specifications. Okay, so technically it’s not really silent – but it really is so quiet, it’s hard to tell that it’s even running until you walk up to it and see the condenser fan spinning! Sound levels are measured in decibels (dB). The Lennox XC21 was measured to run at levels as low as 69dB. When you choose the Lennox XC21 air conditioner for your home, we’ll also install a Wi-Fi thermostat so you can control your new ac unit from anywhere! The Lennox iComfort Wi-Fi Thermostat is the command center for this high-tech machine. The iComfort acts as the hub for all communications as this system actually lets all of the components talk to each other. That may sound futuristic but it’s real and it’s now! By allowing each component to know what the other is doing, they can all act in unison to deliver precise efficiency as well as perfect comfort to everyone in your home. The iComfort thermostat is very user-friendly, and was designed to be easy to understand and operate from home or away using the free Wi-Fi app. Many homeowners choose to upgrade from the included iComfort to the Lennox S30 Wi-Fi Ultra-Smart Thermostat. This full-color thermostat is truly a work of art and may be the nicest thermostat ever made! Most would say it looks more like an iPad than a thermostat. Check out the Lennox S30 on our THERMOSTATS page. When you hire Magic Touch Mechanical to install your Lennox XC21, we register all of the components with the factory for you. All new HVAC Systems require product registration within sixty days of installation. 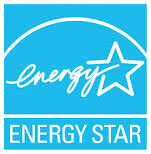 Not all AC companies register the warranty for you! 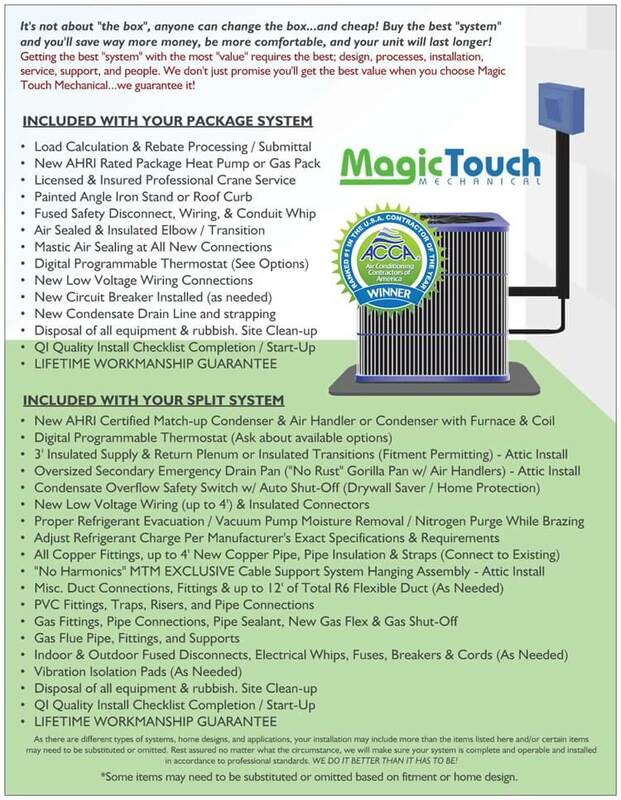 If you don’t hire Magic Touch make sure you do it yourself to avoid coverage lapses or denials. The Lennox XPC5 comes with a 10-Year parts and compressor “box” warranty. Meaning, even if the home is sold, the warranty stays with the equipment, not only to the original purchaser. When our customers are happy, we’re happy – and our customers rave about the Lennox XC21! Other than the price tag, there’s really nothing to dislike about this AC unit. Speaking of price tag, the XC21 is a great example of the saying you get what you pay for. It’s definitely not within everyones budget, but for those with the means – it’s worth every cent! How Much Does the Lennox XC21 Cost? As you might have guessed, the most efficient two-stage AC unit on the market today is not inexpensive. However, the Lennox XC21’s perfromance and specifications justify the spend for anyone with the budget to own one. Prices vary around the country but you can probably expect to pay between $9,000 and $12,000 after tax* before manufacturer, utility, and contractor rebates or promotions.